When you think of the kind of students a space club recruits, you probably imagine membership that is heavy on STEM, fields like engineers and geologists, astronomers and rocket scientists. If you looked at the make-up of Students for the Exploration and Development of Space, for the most part you would be right. In fact, what SEDS needs more than ever is a heavy dose of business majors, pre-law undergraduates and aspiring marketing professionals. Why does SEDS need students from Sandra Day O’Connor, W. P. Carey and the Herberger institute? Isn’t SEDS all about inspiring the scientists and engineers, the people who will develop the technology that reaches beyond Earth? We all know the reason we don’t have a base on the Moon or a colony on Mars is because of a lack of advanced technology. Or is it? Today every student walks around with a computer more advanced than what Buzz and Neil had in their capsule. NASA has had schematics for nuclear powered engines, engines that could take astronauts to Mars in a matter of months, since the 70’s. The life support systems onboard the ISS today would still be recognizable to the engineers of Apollo. A lack of technology is not holding us back. The true log-jam holding back a flood of space development and exploration is economics. 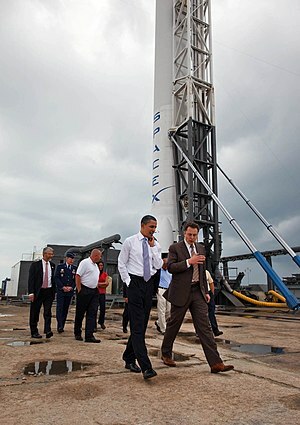 Elon Musk , founder of SpaceX, didn’t build a rocket company from the ground up because he had a revolutionary engine. What he had was a revolutionary business model, that instead of nestling subcontracts within subcontracts for rocket parts like Boeing and Lockheed, he would build everything in house. With this economic model his company ran so lean that in just a few short years he beat industry giants for NASA contracts so old they could have been called fossils. Peter Diamandsis, who made his wealth as an Intel entrepreneur, understood humanity would never step beyond low earth orbit without an economic incentive. With the X-Prize Foundation he uses cash rewards to encourage competition in achieving technological goals such as landing a rover on the Moon and developing a handheld medical device that can diagnose medical issues like a live doctor. His company, Planetary Resources, is working to establish water and fuel depots from near Earth orbit asteroids, while also recovering their vast platinum group mineral wealth. Each of these novel technologies, each of these steps into space, is wrapped in a business plan, marketed to the public or angel investors, and has teams of lawyers opening the frozen realms of space law. We need lawyers, who dream of space development, working to change restrictive laws that make private space ventures prohibitive. We need accountants and business people to take our engineering or science ideas and make them profitable and viable. We need marketing gurus to design our kickstarters and hunt out angel investors to fund our enterprises. In the end, we must boldly go where no SEDS-er has gone before, into the schools of law and business to seek out professionals and undergraduates passionate about the final frontier. By Teagan Gilbert in Blog on July 1, 2013 .